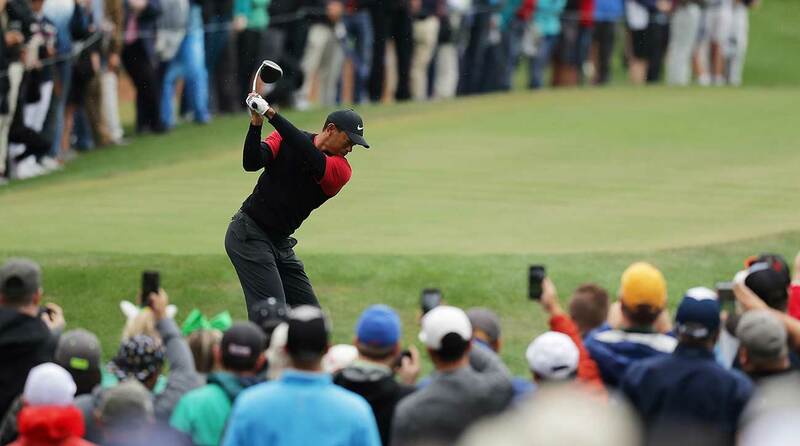 Is the Match Play a good Masters tune-up for Tiger Woods? Tour Confidential: Is the WGC-Match Play format a good Masters tune-up for Tiger Woods? Check in every Sunday night for the unfiltered opinions of our writers and editors as they break down the hottest topics in the sport, and join the conversation by tweeting us @golf_com. This week we discuss Tiger Woods’s Masters prep, Jordan Spieth and Patrick Reed’s recent struggles, the USGA’s move to improve its relationship with pros and more. 1. Tiger Woods is in the field at this week’s WGC-Dell Technologies Match Play, which will likely be his final tune-up before the Masters. But Woods has never played this new match-play format, which is three guaranteed matches and could be as many as seven if he gets to the final day. Like his chances? And is this format potentially too much golf for a creaky Woods with Augusta just two weeks later? Josh Sens, contributor (@JoshSens): I’m not sure there’s a format that isn’t suited for the greatest player of all time. But match play seems especially good for him given the way he’s played of late — some rough patches, but he can still reel off birdies with the best of them. As for the creakiness, Woods seems to have a better handle now on what his body can and can’t handle. I trust he knows what rest his body does and doesn’t need in the run up to Augusta. Alan Shipnuck, senior writer (@Alan_Shipnuck): I think Tiger would have more adrenaline for the old win-or-go-home format. For him this is all about getting reps ahead of the Masters — actually winning matches will be a bonus. Dylan Dethier, associate editor (@Dylan_Dethier): Though Tiger’s never been a particularly successful partner in team matches, he’s always been good in one-on-one showdowns. I’m most curious to see how he looks over putts — match play puts an even higher stress on the flatstick. Michael Bamberger, senior writer: Tiger used to be 1 up on the first tee because he was better than the other guy and they both knew it. Those days are over. He has a nearly 50-50 chance in every match, as do they all. As for Augusta warm-ups, the ideal thing would have been something like the old Atlanta tournament — warm weather, wide fairways, slopey greens, and a course known to him. Not ideal. Tiger Woods returns to the WGC Match Play for the first time since 2013. 2. What’s up with these former Masters champs? Patrick Reed went through a couple of emergency range sessions with David Leadbetter at the Valspar, where he was 10 over and missed the cut by a mile. Reed’s scoring average over his last three events is 72.6 and his last three rounds have been 75-77-78. Meanwhile, Jordan Spieth hasn’t finished better than T35 all season. Whose struggles are more alarming as the Masters looms? And who’s more likely to snap out of his funk first? Sens: Spieth’s because they’ve been stubborn, and because his drop off has been more severe. Shipnuck: Agree. Both have always been streaky players, but these funks seem more severe than usual. Spieth especially is a concern, given he’s now going on two years since his last win. But I talked with him after his missed cut at the Players and he seemed surprisingly upbeat, given that he thinks his putting is back. If that’s the case, the confidence will filter into the rest of his game. It will be fascinating to see if Augusta can once again cure what ails him. Dethier: What’s fascinating is that if you look at the top 12 players in the world, none have won a Masters (they have a collective two British Opens, five U.S. Opens and five PGAs, by my count). Certain guys play well at Augusta; Spieth’s one of them. It’s alarming that he has zero top-eight finishes since last year’s Masters, but I’d be really surprised if he doesn’t find something at this year’s event. As for Reed, he’s been mostly fine, if unspectacular. Being a Masters champ ratchets up the attention we pay to you, which I think is mostly what’s going on here. Bamberger: Spieth’s funky. If he played 54 or 63 holes of superior golf at Augusta it wouldn’t surprise me at all. His excellence was never rooted in perfect mechanics anyhow. Reed has a timing, trap-draw swing, and if he has lost touch with it who knows when it will come back? If we’re talking about one event, the 2019 Masters, I like Spieth’s prospects more. But that’s not saying much. 3. The PGA Tour suspended Robert Garrigus for three months for violating its anti-doping program. According to Garrigus, who tweeted about the suspension, the drug he tested positive for was marijuana, which, he noted, is legal in many states but not permitted by the Tour. Given the loosening of marijuana laws in the U.S., should the Tour reconsider how its policy addresses marijuana? Shipnuck: Of course! The Tour loves making money off our vices: it’s embracing gambling and the reigning player of the year is sponsored by Michelob. It’s absurd to hold weed to a different standard. The sticking point is that the Tour is now a part of the Olympics drug-testing protocols, under which marijuana is a banned substance. But the Tour needs to build some discretion into its policy: Garrigus is hardly in danger of qualifying for Tokyo. Sens: Wait, weed is a vice? I thought it was medicinal. As for what Alan says about the Olympics, all relevant and true. Dethier: What’s been particularly juicy about this story is the conspiracy theories it has spawned querying why no big-name players ever seem to fail drug tests. But the testing concern is a very real thing: in the caddie room this week, one guy said his player prefers the Web.com tour because he can smoke to his heart’s content. Bamberger: Reading between the lines here, Garrigus failed a drug test for marijuana, but the implication was that his life of sobriety has been compromised. The challenges must be immense, and we don’t know if he even considers weed as falling off the wagon or not. If the Tour wants to go down the Olympic-testing path, as Alan notes, I guess it must be all in. 4. Pro Brendon Todd was asked on Twitter why more players aren’t using single-length irons like Bryson DeChambeau. Todd wrote, “Because nobody has ever f’in done that until this nut came around. Let’s focus on the million guys who have won on Tour that don’t do this instead of the one who does.” Todd’s opinion aside, why, given all DeChambeau’s success, hasn’t the single-length iron revolution caught on yet? Will it ever? Sens: As has been noted many times in this space, Tour pros are creatures of habit, and a dramatic change of that kind takes time. It’s too soon to have expected lots of guys to have switched over. But who knows — maybe as we speak, there are scores of mini-Brysons honing their skills on same-length clubs. Shipnuck: Maybe Todd should focus on trying to win as many tournaments as Bryson instead of talking mess. I love my single-lengths. Why does there have to be only one way to do it? Dethier: I think it is catching on, but makes more sense for beginners to switch than established golfers who aren’t used to long wedges, etc. Bryson’s a pioneer — without him, who knows if guys would even be putting with the pin in! Any attempt to discredit his thinking rings hollow. Bamberger: Todd’s language is crude and absurd. At DeChambeau’s level, you surely need the swing mechanics to match the single-length method, and that’s a stumble right out of the gate. I don’t see it ever catching on — too many good players doing it Hogan’s way, Jack’s way, Tiger’s way. But it’s incredible that DeChambeau has figured out something different that works for him. I feel sorry for anybody who is scared of different. But maybe he can help the players understand that the USGA is not the enemy — the USGA in theory stands ONLY for the betterment of the game. 5. The USGA has hired Tour player Jason Gore to run its newly established player relations staff as the governing body looks to further strengthen its relationship with touring pros. Gore will oversee a team of four and be able to provide feedback on rules, championship setups and more. Is Gore the right man for the job, and what should be the first item on his to-do list? Shipnuck: Everyone loves Gore, and he has played in a bunch of USGA events at all levels, so it’s a perfect match. First thing Gore needs to do is make sure the USGA doesn’t screw up the Pebble setup! Sens: I’m sure Gore can handle the gig. The whole thing is slightly heartbreaking, though. The USGA is such a popular punching bag these days — it’s like they’ve become the nerds in the schoolyard, desperate to do anything to get in with the cool kids. Dethier: I don’t think the USGA has all that much to apologize for, other than shaky PR, so maybe this will help, even though I sort of think it stinks that they have to pander so much to the players. I hope they make Pebble tough, and I hope the complaints are kept to a minimum. Bamberger: He seems like a great guy, and a smart hire. I wonder if the liaison position would work better were it funded by both the PGA Tour and the USGA — it would acknowledge that both sides see the need for the relationship to improve. I don’t think Jason will be out there setting pins, or advising on anything like that. But maybe he can help the players understand that the USGA is not the enemy — the USGA in theory stands ONLY for the betterment of the game. It just needs to do that better, and spread that message more effectively. What the USGA needs is what it once had, Arnold Palmer. For starters, it now has Jason Gore. 6. Our Dylan Dethier spent the week caddying for Martin Trainer at the Valspar Championship, while chronicling his ups and downs on GOLF.com. No one said being a PGA Tour caddie was easy, but what part of the gig do fans most underappreciate? Sens: I would think the mental energy and focus required over those long hours on the course. Keeping yourself dialed in, all the while making sure you’re helping your player do the same. Shipnuck: How delicate the average Tour player is. It’s almost impossible to always say the right thing, especially in crunch time, because the players’ emotions are so volatile. Dethier: I mean, in some ways it is a relatively easy job, if you know your basic golf etiquette (and how to rake a bunker). But there’s some X-factor that goes beyond pulling the right yardages and keeping grooves clean. How do you get your guy in the right mindset to play his best? And how do you keep him there after a bogey or a bad break? I don’t think I did that particularly effectively this week, but not for lack of trying! Some of these things take time, or luck, or chemistry. Bamberger: Keeping the grips and everything else dry in a driving rain.